Another international friendly match is schedule to be played between Azerbaijan and Kyrgyzstan on 29th May, 2018 at Baku National Stadium, Baku, Azerbaijan. This is one of the important matches as FIFA World Cup 2018 is approaching and many players are still in testing phase. While all the other teams are going to participate in the FIFA World Cup 2018 which is not far away as only 16 days left in the mega event to be held in Russia. Azerbaijan participated in the World Cup qualification campaign and they played pretty excellent football during this scenario. They finished at 5th position with overall 10 points as they gave tough time to the competitor of it’s group C.
Few clubs of Azerbaijan are also going to take part in UEFA. On the other side, Kyrgyzstan who has been the member of AFC Zone could not finish on fair position. Azerbaijan played total 8 matches in last year in which they only won 1 match, while 1 match was drawn in result. That’s why they would try to improve their position while playing against Kyrgzstan. Azerbaijan only defeated the lower side like San Marino who was the most lowest team in the Europe. After defeating the San Marino, Azerbaijan lost 5 matches back to back, draw twice and defeat thrice in last 6 months. Gurban Gurbanov won’t be able to allow his center back player Rashad Sadygov as he has been retired from international football. 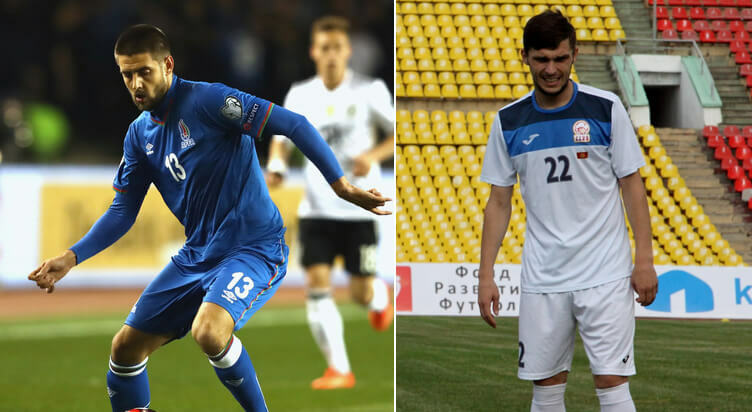 Rashid Amirguliyev and Aghabala Ramazanov will also miss their team. There is a man like Richard Almeida on whom the team is relying the most. Although he is not a native Azerbaijan, but got the citizenship and will play for his team. As mentioned above that the record of Azerbaijan is not much impressive. They have played 5 matches recently in which they lost 3 and drew 2. This team may surprise the opposition on the behalf of a strong and powerful lineup. Kyrgyzstan could damage not only Azerbaijan, but also other European oppositions. On the other side, Mirlan Murzaev and Serik Belediyespor will be part of the lineups against Azerbaijan. Both of these players have played excellently throughout their career. Comparatively, the Kyrgyzstan players have played a stunning football during recent years by winning 4 matches out of 5 they played in last 6 six months.